Using a bread maker review to find the best bread maker is likely to show you the Breadman TR520 Programmable bread maker. Less expensive than many other models, it has some sophisticated features that challenge others for consideration. The unit is small and compact, forming a nearly perfect cube with dimensions that measure approximately 13 by 12 by 13 inches. The great joy of using a bread maker is having a warm loaf to enjoy without having to do the laborious work that is normally associated with bread making. It looks simple when you see Lydia or Martha do it on television, but it is harder than it looks when you do it by hand. 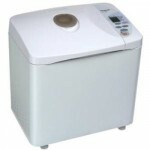 Any bread maker review tells you that using a machine is easier than doing the work yourself. The best bread maker offers the features that you prefer. Curiosity is a powerful motivator, and you are certain to wonder if the ingredients that you place in your appliance experience the chemical reaction that makes them rise and turn into a loaf of bread. The unit gives you a large window on top of the lid that lets you see what is happening. You can smell the aromas as a loaf bakes, but looking at it is a fun way to satisfy your curiosity by watching the process take place. As a model that is at the lower end of the price range, the Breadman TR520 is quite versatile. It can produce three different loaf sizes so that you can bake a one pound loaf for your self or your family if it is small or does not want to eat a large quantity of bread. A two pound loaf is a practical size when you have company, and one that is half a pound smaller is useful for making sandwiches. Some conveniences that this unit features include settings for three shades of crust and a 13-hour delay timer. 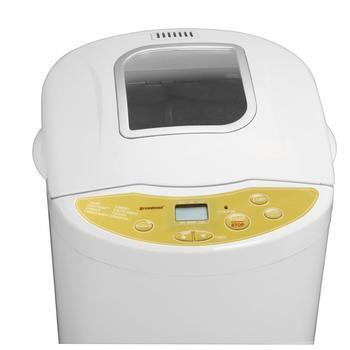 A bread maker review usually includes a mention of the kinds of dough that you can create in the best bread maker, and the bread maker TR520 can produce eight different kinds. You can create your own pizza or pasta with dough from this unit as well as pretzels, dinner rolls or cinnamon buns. 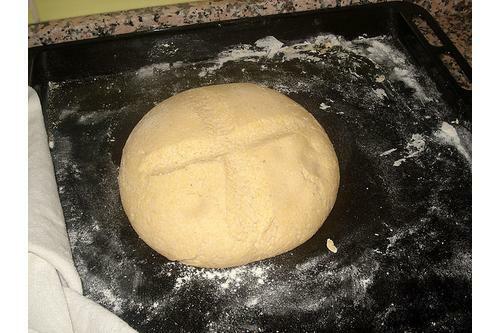 You can experiment with making dough for other delicacies in addition to basic bread in varying degrees of crust. The non-stick pan makes it easy to retrieve warm bread in less than an hour. A special feature that you may enjoy using is a signal bell that alerts you when it is time to add fruit or nuts to your creation. The feature that you want to find in a bread maker is one that lets you add flavorings, fruit, seeds or nuts to create honey wheat, cranberry oat, focaccia, raisin or cinnamon raisin, cheesy onion, hearty rye and more. Other conveniences include a lid that is removable for easy cleaning, and the small control panel is on top where you can easily see it. 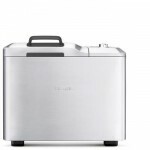 Is Breadman TR-520 the Best Bread Maker? 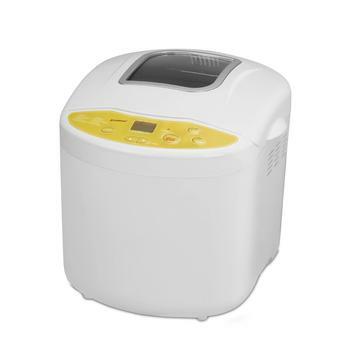 Some units that appear in a bread maker review do not have some of the features that you get in this machine, and some have features that are not included in this model. The viewing window is larger than the one on some others, and the ability to produce variable loaf sizes is not always included in the best bread maker. This unit produces a perfectly baked loaf in less than an hour while others take as much as twice as long. Some models such as Breville BBM800XL add fruit and nuts automatically, while others have an alarm bell like this one and some do not address the issue at all. Even though the unit can produce eight different dough functions, the control panel is quite modest. Not as elaborate as the one on some other models, it lets you do everything that you need to do. 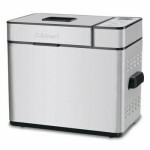 Will I recommend Breadman TR520 to someone who is looking for the best bread makers? The answer is “It Depends”. Best is not absolute and one that is subjected to budget constraints on top of everything else. 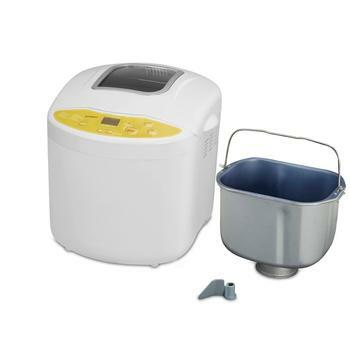 If you’re looking for the best ‘budget-friendly’ alternative, this programmable bread maker from Breadman can be considered as amongst the better alternatives. Do you prefer a stainless steel appliance instead? If you do, you may want to consider Breadman TR875, the bigger (and slightly pricier) sibling of this model.